Many years ago, for a short time, we used to provide products with family histories along with family crests, but it quickly became apparent that much of the family name histories out there were either inaccurate or so generic that they were meaningless. Another major problem for us – when putting the information on a plaque or print; you might have one family with a lot of background information and another with only a few lines. Some heraldic suppliers get around this by padding out the information with general text such as what “O” or “Mac” in front of a name means, or why knights first used coat of arms in battle to distinguish themselves from one another. All nice to know – but not really part of your family history. That is why we no longer provide generic family histories. What we do is reproduce your Family Coat of Arms (Family Crests) on handcrafted quality products that are both historically accurate and decorative items. For those that want to know their family history – we recommend the world’s largest genealogy websites company The Ancestry Group. They are a network of the world’s largest genealogy websites, and provide you with the tools and information so that you can trace and record your own family history. A family history that is unique to your family, backed up with historical documents and archived information. They will not reproduce your family crest, for that you come to us, but they will give you your family history. Why we recommend The Ancestry Group? The Ancestry Group have free trials that will allow you to quickly discover your family history. Should you enjoy finding out your families history you can continue with paid membership when the free trial is over. The Ancestry Group is a global network of family history websites. The network includes several Ancestry international websites that shares information from all around the world – allowing you to trace your families roots including those that immigrated from one country to another. As a member you have access to over 1 billion searchable family history records. Their extensive collection enables members to explore their family history using censuses, fully indexed birth, marriage and death records, passenger lists, phone books, military and parish records. Members can also explore names in other family trees and upload photographs of their own, and in doing so connect to millions of other members making their own discoveries. Ancestry is a provider of family history, harnessing the information found in family trees, historical records, genetics and health history to help people gain a new level of understanding about their lives. The below links to Ancestry websites all offer FREE TRIALS are are split into geographical regions to help you start your search. The information provided is all designed to empower you to discover, preserve and share your family history. 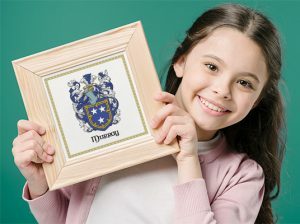 Ancestry membership also make great gifts to go along with the family coat-of-arms we provide. Please note: Ancestry have different offers throughout the year but always offer a free trial. If you are quick you can get all the access you want to your family history documents – all for free. Who knows, maybe you’ll enjoy exploring your family history and continue on the site – you’ve access to a lot of information available for a relatively small fee. And after that if you enjoy exploring your past, maybe create an accurate family tree, or even discover new relatives you never knew you had and connect with them – all for a relatively low fee for access to all those records.